The EuroBasket 2013 Qualifiers move to game eight with four teams already knowing that they will be playing in Slovenia next September. Montenegro, Italy, Croatia and Ukraine all locked up spots in the prestigious event with victories on Sunday. 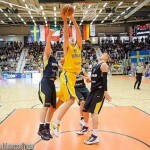 Today, four more squads have their shot at securing court time against the best National teams in Europe: Germany, Finland, Georgia and Sweden. The pack of 4-3 squads (Serbia, Israel, and Estonia) are all fighting for one or possibly two spots and are taking very different paths today. Estonia runs up against unbeaten Montenegro on the road, while Israel takes on 1-6 Iceland at home, and Serbia tackles the 1-6 Slovak Republic at home. A loss today will most likely eliminate any team. Much of today’s attention will fall on the contingents in Group B as both Germany (5-0) and Sweden (3-2) have opportunities to book up there activity calendars for September of 2013. Still in the hunt for those spots though, are Bulgaria at 3-3 and Azerbaijan, also at 3-3. Standing in their way? Germany and Sweden. The Germans host Bulgaria and Sweden travels to Azerbaijan, where a win by the Swedes would put them 2-0 head-to-head winning any tie-breakers. Luxembourg, at 0-6, is out of the picture and has the day off. Group C has its top to spots spoken for by Croatia and Ukraine, but Austria and Hungary have outside shots at one of the four third-place openings. Hungary has three games to play and is currently 2-3, while Austria has two left and is 2-4. Croatia and Ukraine square off today in Croatia in a game that still has much meaning to each team as win-loss percentages mean everything when it comes time to seed the brackets next year. Austria has a slim shot at the third place spot and has a home contest against Hungary that is critical for both teams. The last game went 81-76 in Hungary, so this one should be a good one. Today is a big day for Group D as nothing has been set and three teams still have a shot a taking the Group D crown. Currently resting at the top of the mix is Bosnia and Herzegovina with 10 points (4-2), followed by Georgia at 4-1, and Latvia at 3-2. Georgia hosts the BIH squad and hold a 1-0 tournament record over them. A victory will mean that they can finish no worse than second since Georgia would win a tie break with the Bosnians and even if Latvia wins out and take the top spot, Georgia gets second. Latvia travels to the Netherlands (2-4), then has Georgia on Sept 8 and Romania (1-5) on Sept 11. Undefeated Finland (5-0) welcomes 4-2 Poland to Helsinki to try and wrap up their first priority, a secure spot in Slovenia. 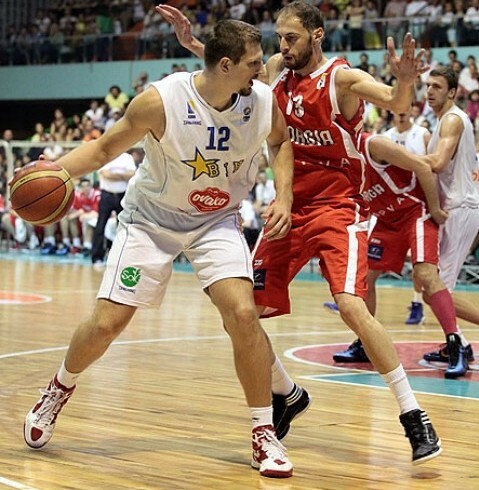 The last contest, in Poland, came down to the final seconds before Finland walked out with an 81-79 victory. Poland needs the win to keep their hopes alive since Belgium is 3-2 and is traveling to 2-4 Switzerland. Poland wins a tie-breaker with Belgium by margin of victory. The Czech Republic (4-2) and Turkey (3-2) have good shots at moving on, but would prefer to take care of things themselves rather than wait to see if they have a better record than someone in another division. Turkey drew the short straw on this one and has to face unbeaten Italy at home, while the Czechs get to host 0-5 Portugal, who they beat 74-67 on the road earlier in the qualifiers. The group of 16 that will qualify for the EuroBasket 2013 will become a great deal more clear after todays contests. 2 Responses to "EuroBasket 2013: Four Tickets on the Table"